FDA Recommendations for Ordering Online Pet Medications. 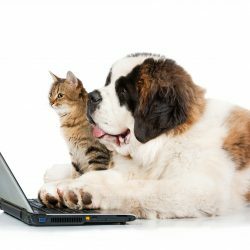 In a recent article the FDA tackles the subject of online pet medications and outlines the best practices for ensuring that online pet medications are safe and effective. First and foremost, it is made clear the importance of veterinarian involvement. The article states, "If an online pharmacy does not require a prescription from a veterinarian before filling any order for prescription drugs, that's a red flag." And furthermore, any website claiming to evaluate a pet via an online form, "may omit important clues to your animal's condition, and is no substitute for a vet physically examining your animal." The article goes on to discuss the importance of a .pharmacy designation in a pharmacy's web address. This designation is achieved through the National Association of Boards of Pharmacy's (NABP) new Pharmacy Verified Websites Program, which requires enrolled pharmacies to adhere to strict standards of compliance. Obviously we agree with the importance of the .pharmacy designation and received ours late last year (www.ggvcp.pharmacy). To view veterinary pharmacies verified through this program please visit the Buying Safely page of the safe.pharmacy website. We know that accessibility to all types of products and services online have and are continuing to greatly impact the way we all do business. It is important to keep consumers informed so that they are able to make educated decisions when it comes to buying online (especially when dealing with medications). We hope that you take some time to read the full article here and that you will share this information with other pet owners. This entry was posted in General, Regulations and tagged animals, fda, online pet meds, pet medications, pets, safety. Bookmark the permalink.